We've got the perfect addition for your next outdoor trip! The Chairpack is a combination backpack and chair, so you can store everything you need and easily have a seat without carrying an extra load! Perfect for fishing, camping, hiking, hunting, and many other outdoor activities. UNIQUE DESIGN: 2 in 1 chair and backpack to keep you hands free when on the go. DURABLE: High quality 600 DPVC ,waterproof and breatheable. COMPACT AND PRACTICAL: High-intensity steel tube, easy to set up and can support up to 250 lbs. MULTIPLE USES: Perfect for camping, fishing, tailgating, hiking, hunting picnics, and more. This is a perfect combo for my fishing trips. 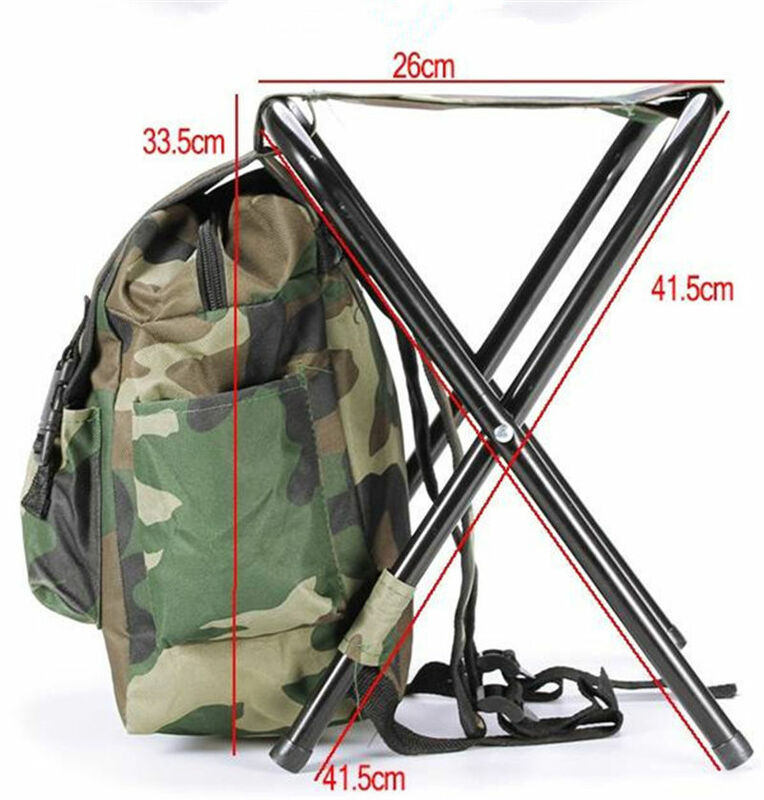 The backpack is big enough for my fishing accessories and snacks, and the chair can easily support my weight (205 lbs). Great value for any regular outdoors man! I bought this & a tactical jacket from this site and will shop here again for sure. Both items met my expectations. A very cool outdoor collection with some unique products I haven't seen anywhere else. 5 stars. My husband loves this! We go on long hikes whenever we get a nice weekend and this combo backpack and chair comes in handy. It is very durable, has plenty of room, and easy to pull out whenever we need a seat. It is exactly what I wanted for him , and exactly what he wanted without even knowing he wanted! Item is as described. Good size and is great for hunting. Pretty impressed with this Backpack, It holds plenty for a good day of pond, stream fishing! I've used it 4-5 times and it has been a useful buy.